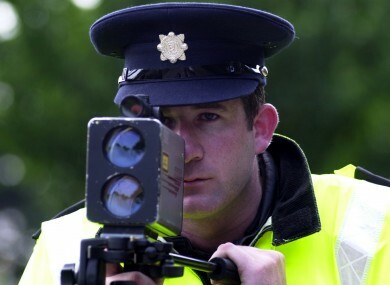 YESTERDAY WAS NATIONAL ‘Slow Down’ Day and gardaí have said they detected 454 vehicles speeding. The operation, which saw a large number of checkpoints rolled out across the country between 7am yesterday and 7am this morning, saw more than 100,000 vehicles checked. Though almost 500 incidents of speeding were detected, gardaí said today that reports from around the country indicate that the response to the initiative’s key message – to slow down – was heeded by members of the public. For the most part, people did reduce their speed. Unfortunately, despite the widespread publicity around the operation, some drivers failed to change their driving behaviour. Email “Almost 500 Irish drivers caught speeding in just 24 hours”. Feedback on “Almost 500 Irish drivers caught speeding in just 24 hours”.